The first section covers basic character creation and sneaks in a good bit of backstory on vampires in the WoD. It also provides insight valuable to a fist-time storyteller to help set the tone for the adventure and to create a fitting atmosphere. The second section, Into The Void, is the introduction to the adventure. It includes the set-up for the scenario, and offers a selection of the major players in the events about to transpire. Next is Goodnight, Sweet Prince, offering the details of the first scene in the adventure, in which the player’s characters have been assigned or volunteered for an unpleasant mission. The second part of the adventure, Secrets On The Wind, finds the players discovering their characters have literally opened a Pandora’s Box of chaos through their actions. There are three more sections to the adventure, plus several optional encounters to add a little more flavor. 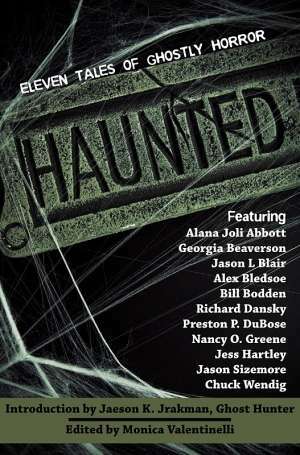 This adventure was previously published in ebook form as Into The Void, about what happens when a power vacuum suddenly opens in Kindred political structure. Very little appears to have changed from that publication to this one. At once an introductory product and mini rules reboot, RtW includes enough basic information to run an game without knowing the ins and outs of the Storyteller game system. Fans of Vampire: the Requiem will notice a few things have changed; previewing the Blood and Smoke core book due out later this year, combat will be handled a bit differently — particularly damage from attacks — and Vampiric Disciplines have been tweaked and modified. At 64 pages plus a full-color cover, Reap the Whirlwind is an extremely attractive product. It’s an excellent introduction to the World of Darkness setting and the Vampire corner of it. It’s also a multi-part, self-contained adventure usable in any setting, including White Wolf’s own excellent Chicago and New Orleans setting guides for VtR. 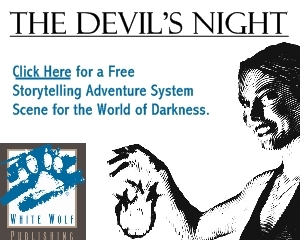 Experienced fans of the World of Darkness may find Reap the Whirlwind interesting because of the changes made to the system. New players will find this book interesting because of the depth of the setting and characterization. 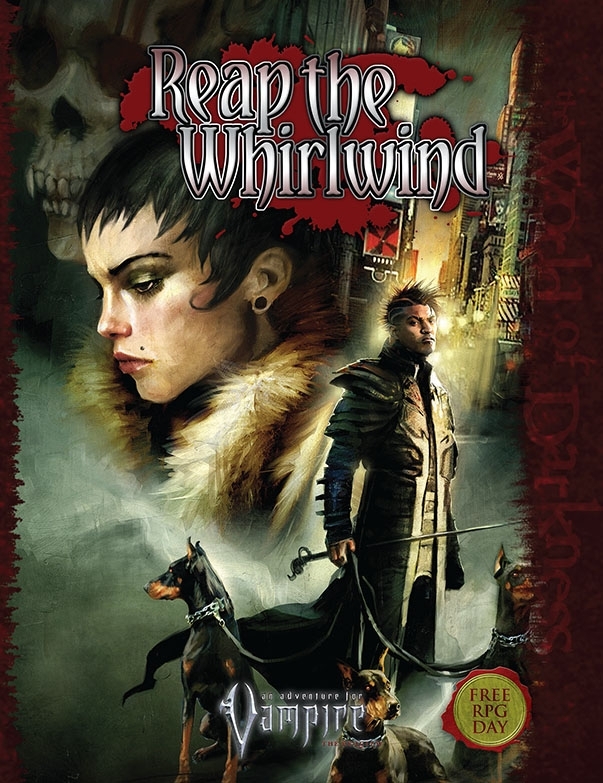 Whatever the motivation, I urge players with any interest at all in roleplaying to check out Reap the Whirlwind. It is an excellent introduction to the Vampire setting in particular, and to the World of Darkness in general.